The latest annual financial report released by shipping giant FedEx is yet another reminder that where you stand often depends on where you sit. The report shows that last year FedEx paid a 7.5 percent federal income tax rate on nearly $3.6 billion of U.S. pretax income and this low rate is due in part to accelerated depreciation, a provision in the tax code that allows the company to write off capital investments faster than they wear out. It’s not surprising, then, that FedEx’s leadership is currently promoting a tax plan that would drop the company’s statutory tax rate even more, and allow it to write off capital investments even faster. 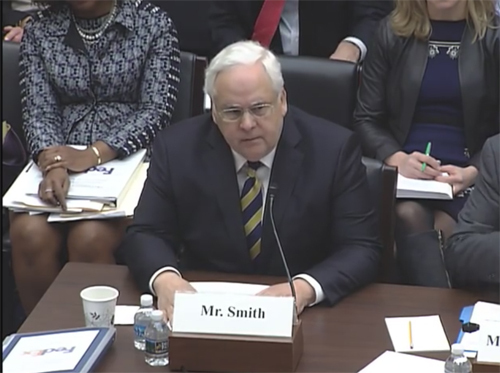 The company made headlines just a few weeks ago when CEO Fred Smith decided to develop a plan for reforming the federal corporate income tax, a reaction to the current stalemate over the controversial “border adjustment tax” (BAT) proposed by House leadership. While details are evolving, the FedEx plan would cut the 35 percent statutory corporate tax rate to 20 percent, following the lead of the plan announced by Speaker Paul Ryan last year, but would drop the Ryan plan’s proposed BAT. Like the Ryan plan, the FedEx plan would increase tax breaks for capital investments, although not as aggressively. Instead of allowing companies to immediately write off the cost of all their capital investments, as Ryan’s plan would, FedEx proposes to allow an immediate deduction for half these costs. It’s well known that cutting the corporate tax rate as low as 20 percent would sharply reduce the nation’s already-low corporate tax collections, even if combined with the most aggressive and universal approach to closing corporate loopholes. But Smith’s outlined corporate tax plan starts off by expanding, not closing, one of the biggest loopholes, accelerated depreciation—perhaps not coincidentally one of the tax breaks that have been most vital to FedEx’s current low corporate tax rate. An ITEP report released earlier this year found that over the eight-year period between 2008 and 2015, FedEx paid a 13.2 percent federal tax rate on almost $17 billion in U.S. income. The report identified accelerated depreciation as a main driver in the company’s low rates. Anti-tax rhetoric notwithstanding, our corporate tax collections are below average compared to most other developed nations as a share of the economy. This is why any effort to cut the corporate tax rate must be accompanied by an all-encompassing effort to repeal or pare back the many ineffective tax giveaways that allow so many profitable Fortune 500 corporations to avoid paying even a dime of tax on their U.S. profits. Accelerated depreciation is one of the biggest tax giveaways around. Far from improving on the dead-in-the-water corporate tax plan produced by Speaker Ryan, the FedEx plan appears to fall into precisely the same difficulty: it answers all the easy questions about cutting the rates, but doesn’t adequately address the hard question about how to pay for it.